A large focus of the action plan is working with First Nation communities. Doug Donaldson, B.C. 's Minister of Forests, said they provide resources in several ways, including their knowledge of the burn areas and manpower. After two record-breaking wildfire seasons, the B.C. government released a new plan this week to improve emergency management. A large focus of the action plan is working with First Nation communities, said Doug Donaldson, B.C. 's Minister of Forests. These communities can provide resources in several ways, including their knowledge of burn areas and manpower. The plan commits to creating a new dedicated First Nations coordination operational staff with opportunities for First Nations and emergency managers to discuss strategies, and to provide training and public education resources to better support the needs of First Nation communities. 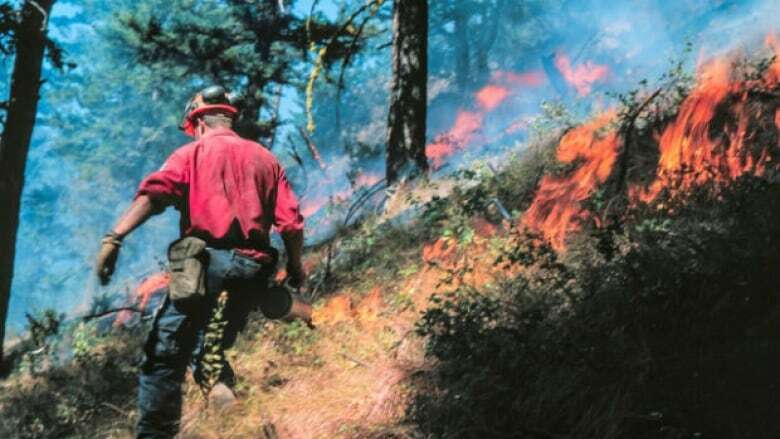 The new action plan includes strategies to anticipate areas most at risk for fire, and to organize multiple resources quickly during the peak of wildfire season. "When fires actually broke out in nearby communities we would have the incident management team come in and right away meet with First Nations… to incorporate local knowledge into the fire action plan," Donaldson told All Points West host Robyn Burns. "In the past, those meetings would take perhaps seven days to get underway." Communities in wildfire-affected areas will be trained in prevention and safety practices through the Community Resiliency Investment Program to mitigate risk of damage to homes, according to Donaldson. Prescribed burns are also included in the report and he said they plan to make more progress with this practice than in the past. "We're looking at a multi-year prescribed burning project, and that includes assessing the training required both within our own staff… but also increased capacity within communities to be able to do that," he said. Recovery of the land and local economies are outlined in the report with plans for reforestation, expedited cutting permits for salvageable timber, and ensuring the annual allowable cut is proportional to the affected supply.